I don't want to say too much about this next winery here because we're working on a feature on them upcoming on the Anthem. What I will say is that there is a Northwest producer of an excellent string of sparkling wines that are flying way under the radar. Way, way under. 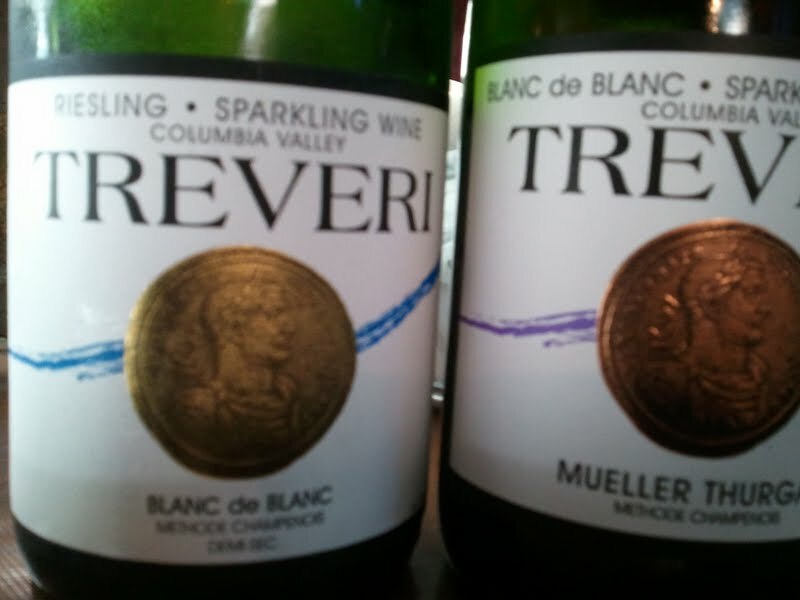 Treveri Cellars of Yakima is making several different sparkling wines, using all traditional methods and right now, all of their available wines are priced under $20. They are working on some extended tirage wines that will likely command a higher price point. Like I said, with out giving away our next post what I will do is relay to you an exchange I had with the clerk at Wine World when I was picking up a bottle of their wine. Clerk: "Have you had this wine?" Me:" Yeah, I got to taste their wines at Taste Washington. I was impressed." Clerk: "I know, fact is, I'm having a hard time believing how well this wine is drinking at this pricepoint from Washington." Me: "You know, for a sparkler, you're right maybe this is the Matrix?" We are fortunate enough to live in Zillah, just a few minutes (okay, fifteen minutes) away from "The Sparkle Tasting Room" at Trevari Cellars. Yes it is a fantastic portfolio of bubbles. Yes they are very well priced, and no you can't have any, we want to drink it all ourselves! Their tasting room is a GREAT place to sit and sip a glass after work, or an afternoon of shopping in Yakima!